In a society of constant stimulation and many distractions, sometimes it is vital to breathe, unplug and take in the world that surrounds us. In Tanis’ new series of acoustic sessions in real-time, you can find unique, unprocessed and unheard versions of her songs, each performed in a different corner of the world. 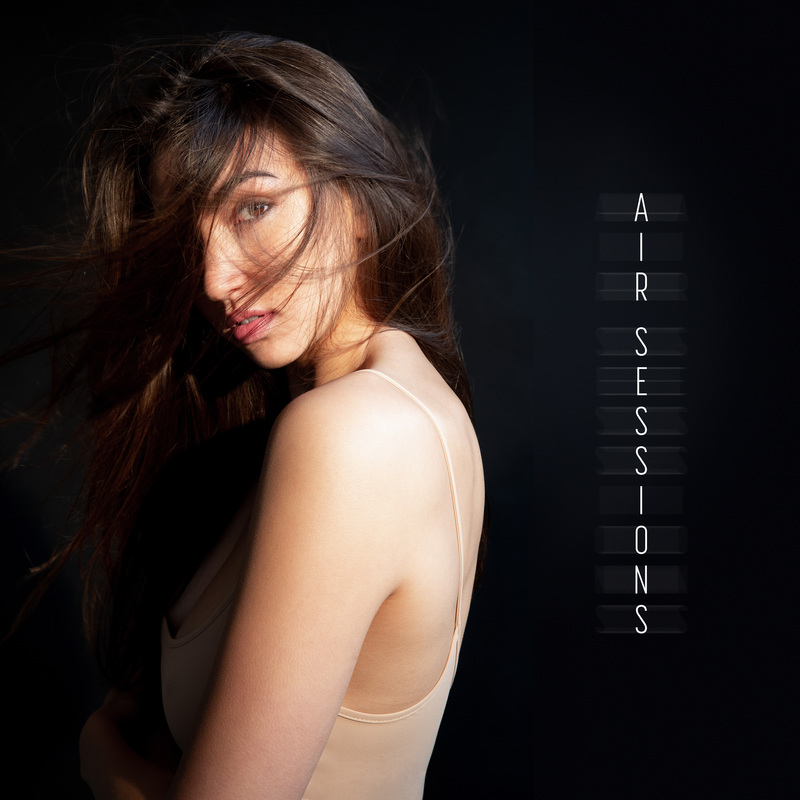 So when you need that break, come discover the sights and the sounds of The AIR Sessions. Believe in yourself: with hard work and perseverance your dream will be reality. Watch the TEDx talk here! Groundbreaking interactive video by Skein. Click here to view in full Screen! 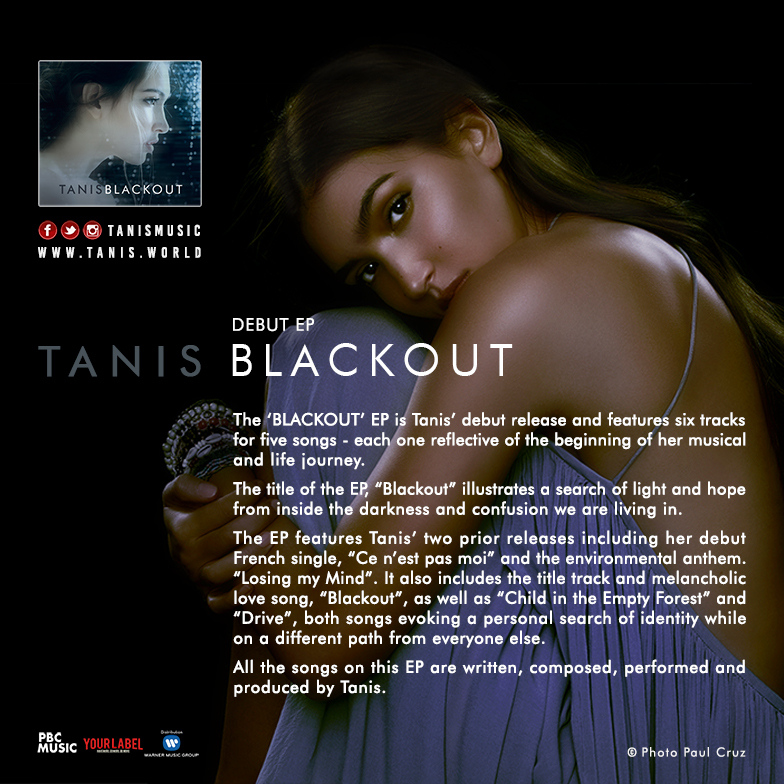 After 10+ HypeMachine hits and writing the Netflix Chelsea Handler theme song, electro-pop producer Memoryy proposes a new remix of Tanis’ new single hit “Blackout”. Tanis is an international singer-songwriter-composer with gorgeous sultry vocals & lush atmospherics. Remix now available on SoundCloud. The debut album is a tour de force by Tanis, who has written, composed, performed and produced all tracks. Her uniquely crafted calm, alternative pop now firmly established her signature style, treating listeners with a medley of acoustic piano, electro sounds, R&B rhythms and ethnic instruments. “Blackout” is beyond just another lost love song. It speaks about the emotions buried deep inside that all the distractions of today’s life help us to keep hidden. But in the darkness and silence of a total blackout, there is no hiding and emotions can freely resurface. “Blackout”, Tanis’ debut EP boldly explores alternative themes of love, melancholy and identity. The alternative pop-singer, known for carving a distinctive style of music derived from her multi-cultural upbringing will be presenting six tracks that glow with the promise of tomorrow, hope for underprivileged, and explorations into love, identity and the unexpressed. “Losing My Mind” shares a message of awareness about our mad and deteriorating world. But perhaps it is not too late to change things for the better – if all of us try harder and make an effort, no matter small or big. Tanis single-handedly wrote, composed and performed her first single “Ce n’est pas moi”, a French love song about a girl unable to express her love through words.